New Content: Read our new publication Sugar Policy Insights, featuring articles on the case for a sugar revitalisation strategy and ASMC’s federal election priorities. 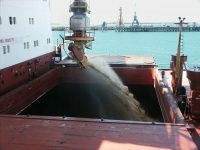 The Australian sugar industry produces around 4 million tonnes of raw sugar annually of which 85% is exported to countries including South Korea, Japan and Indonesia where it is refined to produce white, food-grade sugar. Raw sugar is produced and sold to specific quality standards (e.g. JA or high pol (polarisation) with one of Australia’s competitive strengths being the high-quality of its supply. With a relatively small domestic market, access to the export market is vital. Despite around 180 million tonnes of raw sugar consumption globally, only around 65 million tonnes is traded each year. In some countries, imports supply cane refineries with raw sugar to meet domestic shortfalls. Total global demand is expected to grow at between 1.8% – 2% per annum. The countries with the largest import requirements are China, Indonesia and the USA. Australia competes for market share in this competitive global market against countries like Brazil, Thailand, Guatemala, India and Mexico. Due to the significant sugarcane acreages and the high number of people employed, sugar is a ‘sensitive’ product meaning some country governments commonly subsidise cane and sugar production and act to protect their domestic sugar industries against more competitive imports.